How is buyer agency different? 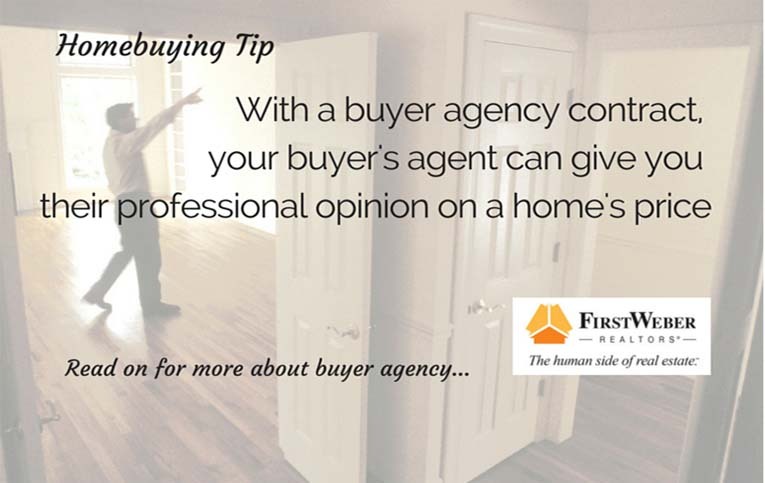 When you sign a buyer agency agreement with an agent, the agent is working in YOUR best interests and they can provide you with extra services. Without a buyer agency agreement, the agent is, by law, working for the seller. A professional opinion of the seller’s asking price, based on a comparable market analysis prepare for YOU. Either way you choose to buy, First Weber Group can help. Your First Weber real estate agent can sit down with you and tell you more about how buyer agency, also called buyer representation, works. Just get in touch with an agent in your area of Wisconsin. Metro Milwaukee First Weber Award winning real estate agents: Congrats and thank you!